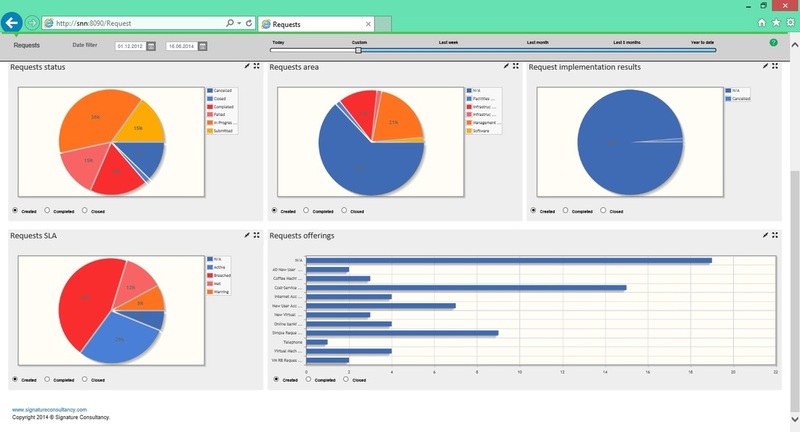 If you have read/followed my SCSM 2012 Dashboard by Signature Consultancy series, you’ll know that the company recently released an Enterprise version of their dashboards. So, similar to my original series, here is a series about the Enterprise version of the Dashboards. 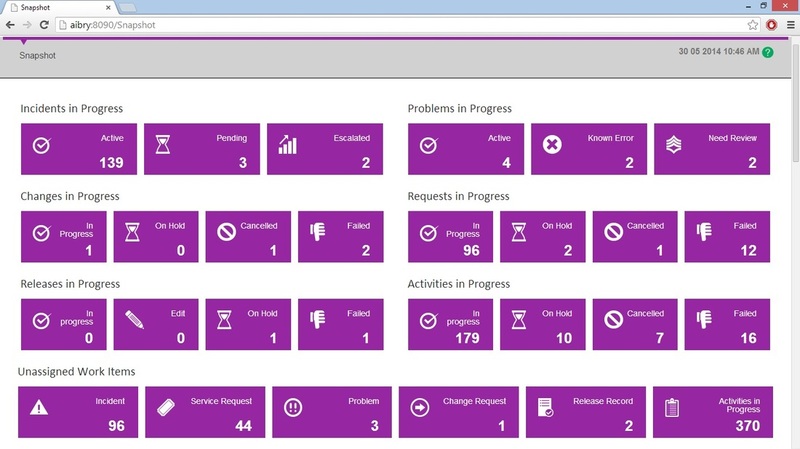 SMTrak is the only enterprise ready reporting tool for Microsoft System Center Service Manager 2012 that provides, out of the box, a full range view of your Service Desk operation. SMTrak provides the persistent visibility every Support manager requires to ensure smooth operation. 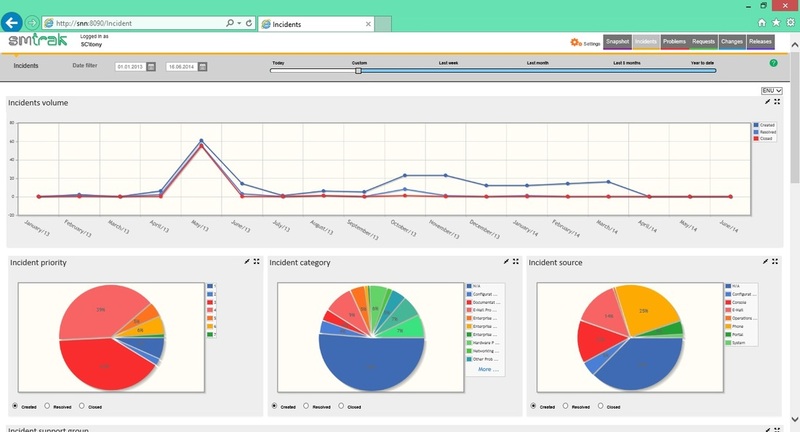 With its ability to visualize both historic as well as real time data, SMTrak helps support managers identify problematic spots in the Service Desk processes and performance.The numerous charts, metrics and analytics provided with SMTrak allow instant visualization and identification of deficiency areas or breaches in service desk processes. SMTrak is easy to implement and use. It is designed to give you a 360 degree view into you support center activities. Furthermore, SMTrak provides customizable filters for all components allowing users to view information, reports or charts from different perspectives to meet the most demanding requirements. 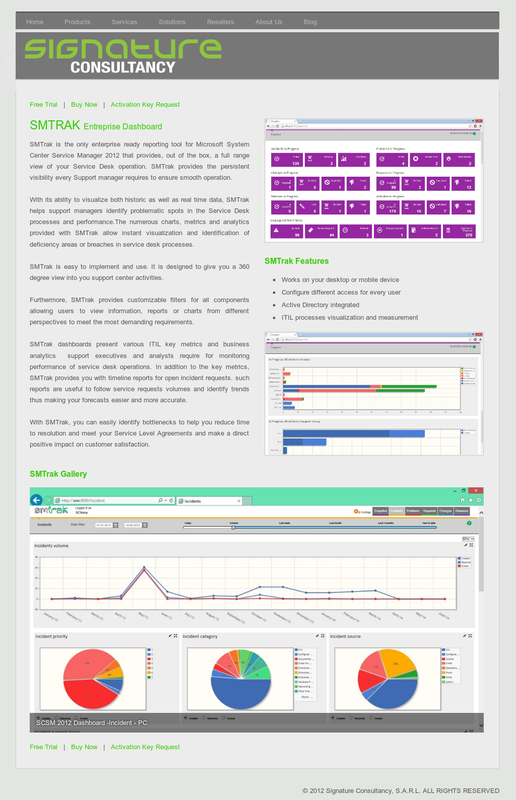 SMTrak dashboards present various ITIL key metrics and business analytics support executives and analysts require for monitoring performance of service desk operations. 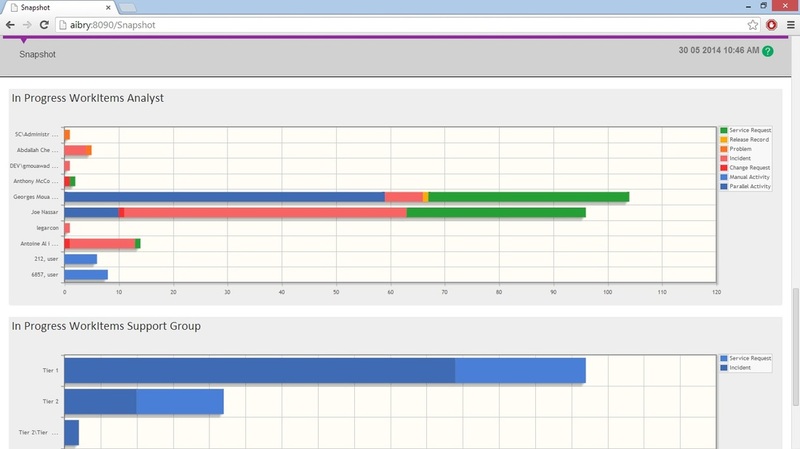 In addition to the key metrics, SMTrak provides you with timeline reports for open incident requests. such reports are useful to follow service requests volumes and identify trends thus making your forecasts easier and more accurate. With SMTrak, you can easily identify bottlenecks to help you reduce time to resolution and meet your Service Level Agreements and make a direct positive impact on customer satisfaction. 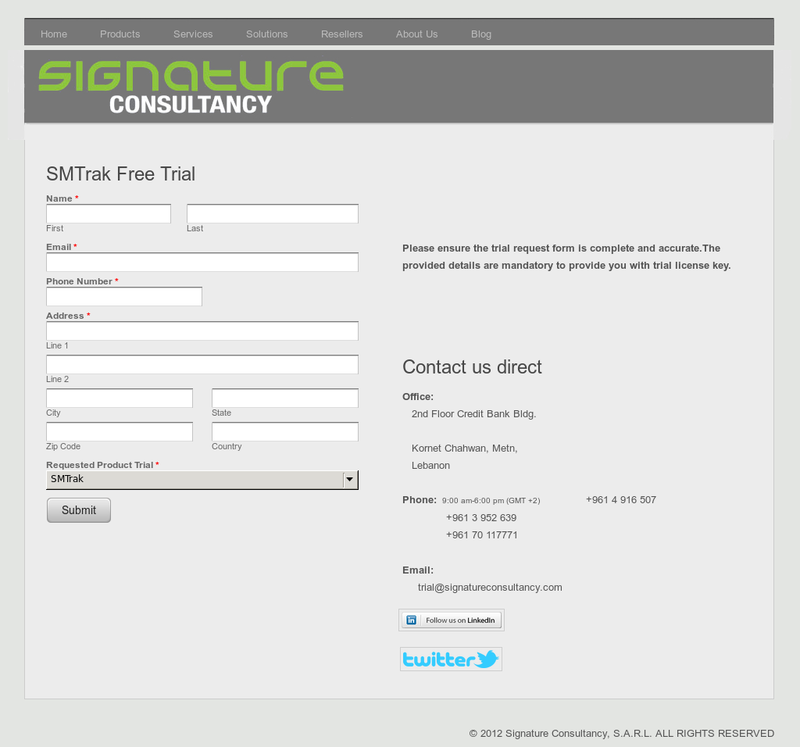 If you are interested in trying these dashboards yourself, start by navigating to the Signature Consultancy website, under Products > SMTRAK, and click Free Trial. After you have entered your information, click Submit. You will then presented with the files to download. Note at the time of this writing, the Enterprise Dashboard version is 1.0.1.3. NOTE: As it mentions on the download page, “Trial License keys are emailed to your email as supplied on the trial form.” and you should receive it within 24 hours of submission. When you download the .ZIP file, it will contain 3 files: SMTRAK V1 Deployment and Configuration Guide 1.0.1.3.pdf, SMTRAK V1 User Guide 1.0.1.3.pdf, and SMTRAK.msi. The Deployment and Configuration guide contains some screenshots, but not for every step. I will utilize the steps provided in that guide, and include my own screenshots step-by-step. Let’s begin with Requirements.